In the competitive RV industry, it is really quite an accomplishment to be number 1 in anything. 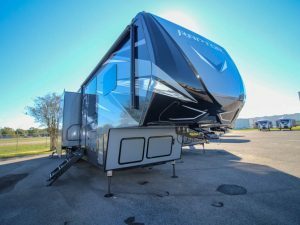 It’s even more impressive to learn that Keystone’s Raptor line of fifth wheel toy haulers has been the #1 selling luxury toy hauler year in and year out. This is why competitors always try to imitate; Raptor prefers to innovate! 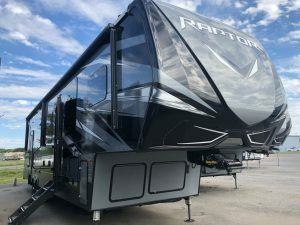 Raptor has taken the old school, rugged and in-your-face toy hauler of yesterday and turned it into a refined, comfortable and high-utility residential palace on wheels. Our customers tell us they find it to be one of the most luxurious and versatile toy haulers you can find anywhere. Don’t accept any imitations! 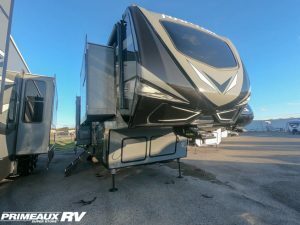 Don’t settle for anything LESS than Raptor Toy Haulers – it is one of the many reasons our customers come to see us at Primeaux RV Superstore. We are dedicated to helping you find the Raptor that is perfect for you and your family’s style of active travel. This is a great RV choice for campers who like some adventure mixed in with their travel and like to take their big toys on the road. But, remember: Raptor Toy Haulers by Keystone are not just for those who haul quads, dirt bikes, and motorcycles. 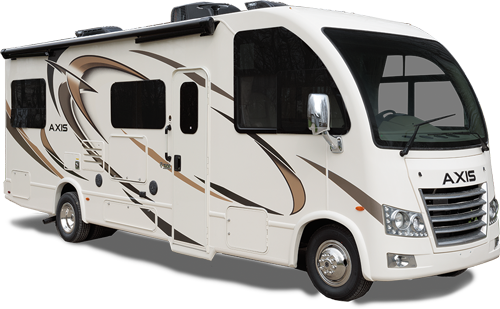 Every floorplan is based upon extensive consumer input from experienced toy-hauler owners. The layouts of these RV’s deliver comfortable multi-zone living that fits your own active, personal style. 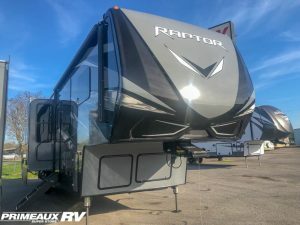 Perfect for growing families, outdoor enthusiasts and even full-time RV’ers, there’s a Raptor that’s built to give you maximum comfort, durability and value. It is a great combination geared toward active AND passive lifestyles! Spend your days adventuring and doing all of the outdoor things you love. Then, relax in the luxury of coming “home” to a well-appointed and amazingly livable fifth wheel. Camping and “roughing it” no longer mean you have to deprive yourself of all the comforts of home. 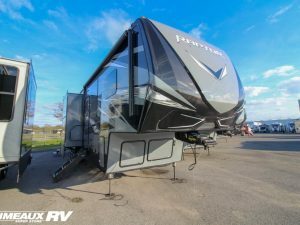 At Primeaux RV Superstore, our staff is expertly trained on the entire line-up of Raptor Fifth Wheel Toy Haulers. 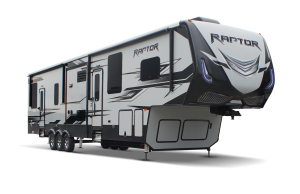 We think the cutting edge of RV design has been freshly sharpened with Raptor’s full line up of Luxury Toy Haulers! 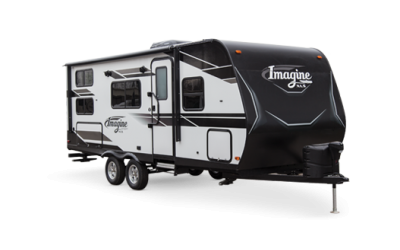 Come and experience the difference we can make when you’re shopping for your next Toy Hauler or towable RV.